At bea Skin Clinic, we're at the forefront of medical aesthetics, using the latest technology and equipment to rejuvenate your face and body. The 4S® PRP is a premier centrifuge machine for Vampire Therapy. This innovative device is 100% sterile and is used to process platelet-rich plasma for subsequent aesthetic injections, isolating regenerative platelets and plasma from blood. 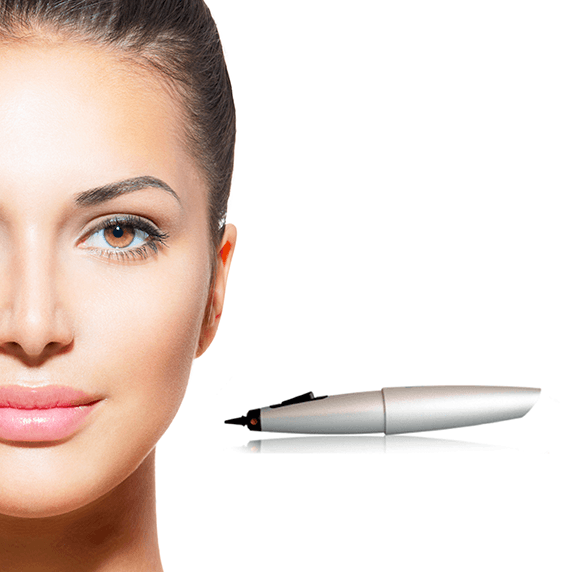 The Dermapen has become the industry standard in advanced fractional micro-needling. Treatments reduce fine lines and wrinkles, improve the appearance of enlarged or scarred pores, soften stretch marks, diminish acne scars, improve alopecia areata, and can even lighten areas of pigmentation and melasma. The Dermapen‘s adjustable needle depths means that treatments can easily be controlled, and difficult to reach areas such as the base of the nose can be addressed with greater accuracy. The Dermapen utilises a seven speed vertical operating system, delivering 225 to 1000+ needle insertions into the skin per second. The Dermapen's needle tip functions as an automated, stamp-like device that delivers more controlled treatments than micro-needling rollers do. Thanks to its pioneering technology, medical and diamond top microdermabrasion treatments with the Derma Genesis M2 Turbo are both painless and safe. The M2 Turbo is one of the most advanced medical microdermabrasion systems available. Designed to provide superficial tissue abrasion, the M2 Turbo's ergonomic, dual mode handpiece utilises disposable caps - making face and body treatments both sterile and clean. This powerful machine is suitable for all skin types and ethnicities, save for sensitive skin types. Genuine Dermaroller™ manufacture professional micro-needling devices for skin specialists and medical professionals. German medical engineering assures that the highest standards of quality and safety are met. Although substitute versions have recently become popular, nothing can match the quality of dermaroller treatments carried out with the Genuine Dermaroller™by a trained medical practitioner. Made of stainless steel, the Genuine Dermaroller™ is a single use only device which is hypoallergenic and safe. bea Skin Clinic sources high quality mesotherapy injectable solutions and ampoules from Koreesa, the UK's number one supplier of medical grade mesotherapy products. For micro-injection treatments, we use Arnesso AM and Oxynergy Paris solutions. For needle-free treatments, Institute BCN’s INMED line offers a comprehensive range of transdermal mesotherapy solutions. All of bea Skin Clinic's mesotherapy products are high quality, meticulously selected, and contain pure, active ingredients. Treatments with the LED Light Panel are capable of remedying a wide number of skin and hair-related concerns. This powerful non-thermal machine emits light energy from hundreds of infrared, blue, yellow, green, purple and red LED lights. It can treat hair loss, acne, rosacea, inflammatory skin conditions, bruises, fine lines, and pigmented lesions. For thread lifting procedures, bea Skin Clinic uses the Mesotrax meso lifting thread. This is a sterile absorbable, polydioxanone suture with a hypoallergenic needle. For more information about the Mesotrax procedure, please visit this page. Youngblood Mineral Cosmetics manufactures and supplies the highest quality cosmetics to doctors, aestheticians, spas and salons. This luxury mineral makeup line was founded by Pauline Youngblood, a former medical aesthetician whose aim was to provide a wide range of makeup options for those with traumatised skin. All products are made of natural, finely ground minerals from the earth. None of Youngblood's products contain the chemicals, dyes and preservatives commonly found in over-the-counter makeup products. All of Youngblood's makeup products contain a signature mineral blend of malachite, rhodolite, hematite and zincite, which help to protect cells and tissue. Youngblood products are gentle to the skin and can be used directly after skin resurfacing treatments. They are ideal for sufferers of chronic skin conditions such as rosacea, acne, melasma and eczema. For more information, please visit this page.